I have seen many people say There are no free vps providers but just fake free vps providers who make you fill surveys. So I make a previous post about legit free vps providers. Right now I have three vps which I got from these providers. Almost all free vps server providers are P2H communities. Anyway I thought it’s better make a list of all fake/scam or questionable free server providers and keep it updated. If you have any upto date information regarding to this topic plz leave a comment and share it with us. gratisvps.net – surveys and nothing but trouble when you ask for support. Fortacloud.co – This provider rank 3rd in Google for free vps right now but if you goto their site you can see they don’t offer free vps hosting. They just have those keywords to rank for keywords. But I found reviews made by other people who did take their free vps. The person paid 50 cent as setup free and then he has to pay $5 per support ticket he make. and still hadn’t receive support. But that’s just a single case. You can find more info on Google about it. Many recommend Haphost and vps.me should be in this link but I thought not to add because they have given vps to some people. It’s just not worth bothering with them because there is 75% chance you won’t get anything. Even if you get a vps that will be 128MB RAM vps. It’s kind of no point going for one of those when there are so many reliable free vps providers out there. 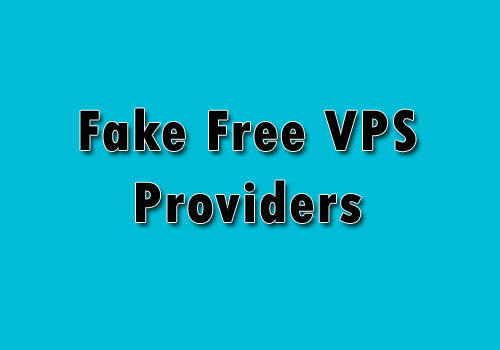 If you know any free vps scam or a fake free vps service comment below and inform us.